Linux as one of the most important skill because it serves you for a long time. 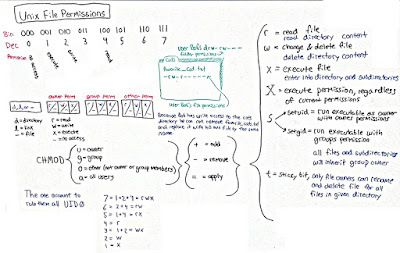 It not only makes you productive and teaches a lot of automation by encouraging you to write scripts, but also it is essential for many IT jobs e.g. support engineers, testers, developers, and system admins. It is also one of the essential tools for programmers without knowing Linux is difficult to find out what's going on an application which runs on Linux. It also separates a good programmer from an average one. A good programmer is often good on Linux commands as well. If you want to learn Linux or UNIX, both operating system and command line then you have come to the right place. 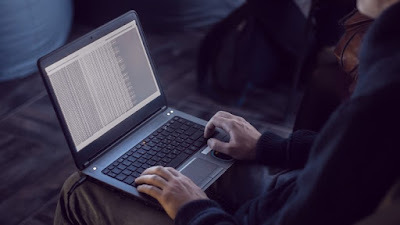 In this article, I'll share some of the free Linux courses you can take online to learn Linux at your own pace and at your own time. These courses are free but it doesn't mean they are of inferior quality. They provide a nice overview of many essential Linux concepts, including Linux command line and essential commands like find, grep, sed, curl, and chmod. Of course they are not as comprehensive as some of the paid course down there but still, you can use them to start your Linux journey. If you have been here before then you might be familiar with my 3 point formula to learn a new technology. In general, whenever I have to learn a new programming language, a framework or a library I do three things, first join an online course, second, buy a good book and third, create a toy project to start with. These 3 things have helped me to learn many useful tools, technologies, frameworks, and libraries and I also suggest you follow these. In the past, I have shared some Linux command line books and today I'll share some of the free online training courses. You can first take these courses and then read those books to learn and master Linux concepts. Once you have a good idea, you can start a project e.g. writing a shell script or something to take your knowledge to next level. This article contains courses to learn both Linux OS as well as Linux command line, which is more important. Anyone who wants to learn Linux can use these free courses but its more suited for developers, QA, System admins, and programmers. This is a good introductory course on Linux which will tell you what is Linux, its history and what does different Linux Distributions means e.g. CentOS, RedHat, Fedora, Ubuntu etc. Basically all the knowledge you need to learn the Linux commands. You will also learn how to setup your test lab to run the Linux commands using VirtualBox and CentOS. Once you have got your setup, the course will then teach you basic Linux commands e.g. 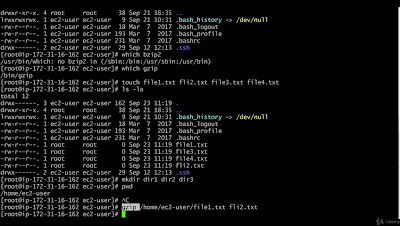 how to create and move files and directories, how to archive and compress files, how to combine two or more commands using pipes, and how to redirect an output to a file. In short, a good introduction to Linux for beginners who are hearing Linux first time. After attending this course you will have enough passion to learn more about Linux and find out more about your favorite Linux distribution. This is an awesome course to learn the Linux command line. As I have said before, the command line is an incredibly useful tool for developers and programmers. If you want to get into Ruby on Rails, Django, Unix customization and so much more, learning the command line will help you immensely. In this course, you will learn most of the essential Linux commands related to file management, process management, system management etc. The command line course is mainly for Linux users but Mac users can also benefit though not everything is applicable to them. For beginners, the command line may seem difficult and complex and it may be hard to sit down and learn by your own and that's where this course steps ups. It will teach you how to use the command line and skip the boring, unnecessary stuff that you may never use. This is a free Linux course from Red Hat itself. In this official Red Hat training course, Steve Bonneville, a technical curriculum architect for Red Hat Training, will teach you the basics of Linux and demonstrate basic practical techniques of Linux use and system administration tasks for IT professionals. 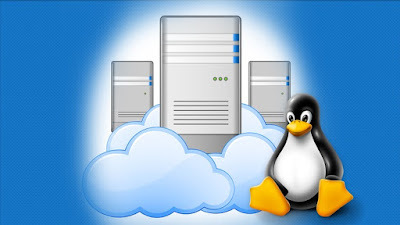 As Linux is used to host server-side applications, in the cloud as well as on containers which host applications on data center it has become one of the must-know technology for IT professionals and the same is interested in this course. This is another awesome free course to Linux from someone who has worked more than 25 years in Linux. The author Jason Cannon has started his IT career in the late 1990's as a Unix and Linux System Engineer and he has shared some of his real-world Linux experience in this course. In this course, you will learn some of the practical tasks in Linux e.g. how to install an SSL Certificate on CentOS Linux and Apache. How to load Balance HTTP and Web Traffic Using Nginx and how to configure MySQL Master-Slave Replication on Ubuntu Linux. These practical tasks will help you to get going in Linux and give you the confidence to work in real servers. If you want to learn Linux command line but happened to work on Mac or Windows then this is the perfect course for you. In this course, you will learn how you can set up an Ubuntu Linux server on VirtualBox to get a taste of Linux command line on Mac or Windows itself. 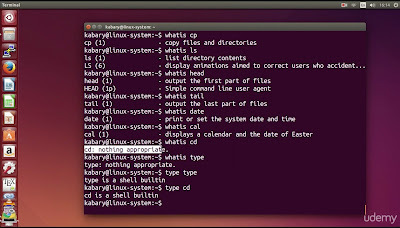 This is the first step towards learning Linux commands, particularly if you do most of your work in Mac or Windows. Although it takes a lot of time to become an expert in Linux command line, having a lab setup is the best way to try out those commands by yourself. Also using a VM like virtual box in Mac or Windows is a safe idea because you can easily delete it and start again if something goes wrong, and more importantly you can work offline without an Internet connection. In Today's world, Linux is very widely used in Internet infrastructure powering Web servers, Public Cloud infrastructures like Amazon AWS and Private Clouds running on OpenStack. So it will be really worth if you can get some basic experience on the Linux OS before you start working on Cloud servers. That's all about some of the free courses to Learn Linux online. As I have said before, Linux is a must-have skill for any programmer or IT professional. You can do a lot more if you know Linux. It also opens a door of opportunities because most of the real world applications run on Linux server. And the best part of learning Linux concept is that it will serve you for a long time. It will not become obsolete as a framework or library will. Thanks for reading this article so far. If you like these free Linux courses then please share with your friends and colleagues. If you have any questions or feedback then please drop a note.